Windows – This is possibly the most prominent element of a sunroom, as its name suggests. Large sunroom windows maximize the room’s exposure to light, filling the room with warm glow. Not only can this improve the energy efficiency of the home, but natural light is uplifting and functions to improve the overall ebullience of the home. Floor to ceiling windows skirted by natural wood or stone floors frame panoramic views of the outdoors creating a space that transcends the separation of outside and inside living spaces. Window Treatments – Depending on the extent of solar exposure, the room may become too hot or too bright during the summer months. Sunroom curtains and other window treatments help to moderate light and temperature. Options such as double-glazed glass, blinds, or perhaps drapes that complement the color of the interior decor can act as a shield against midafternoon sun, thereby maintaining the room’s comfort levels. Interior Decor – Connect the inside to the outside by including natural elements such as wood or stone in the decor. Add potted plants to further improve the energy and oxygen in the room for a calmer environment. Update the color scheme of the sunroom to match the change of seasons or choose a uniform color that creates a different atmosphere depending on the time of year. Furnishings – Traditionally, wicker or rattan have been used to furnish sunrooms and outdoor spaces. Other durable materials for outdoor living include aluminum, plastic, polymer, resin, steel, wood, and wrought iron. Because a sunroom is an indoor/outdoor space, furniture options extend to many other materials. Borrow design cues from other areas of the home to create a decorative flow. Add pieces that would not traditionally furnish an outdoor space such as a mid-century modern accent chair and a Moroccan pouf. Or bring more of the outdoors in with reclaimed wood stump end table. Potted Plants – Strategically arrange potted plants around the sunroom to invite the outside in. Plants make rooms more inviting and lift the energy of the space. Coordinate containers with clean, matte finishes, but vary the shapes. Or keep the same shaped containers and vary the colors. Establish some sense of continuity so that the space does not feel cluttered and chaotic. Use – Take into account the use of the sunroom and direct it’s energy based on how it will be experienced from day-to-day. For example, if the sunroom will be a social area, leave games in an accessible spot with lots of back-up seating for guests. If the sunroom is meant to be a solitary space for relaxation and contemplation, bring large crystals into the space, meditation cushions, a candle altar, and leave open floor space for yoga poses. For homeowners seeking an extra special element to their home’s design and who also wish to elevate their experience within their space, a sunroom may be the ideal addition to a home. 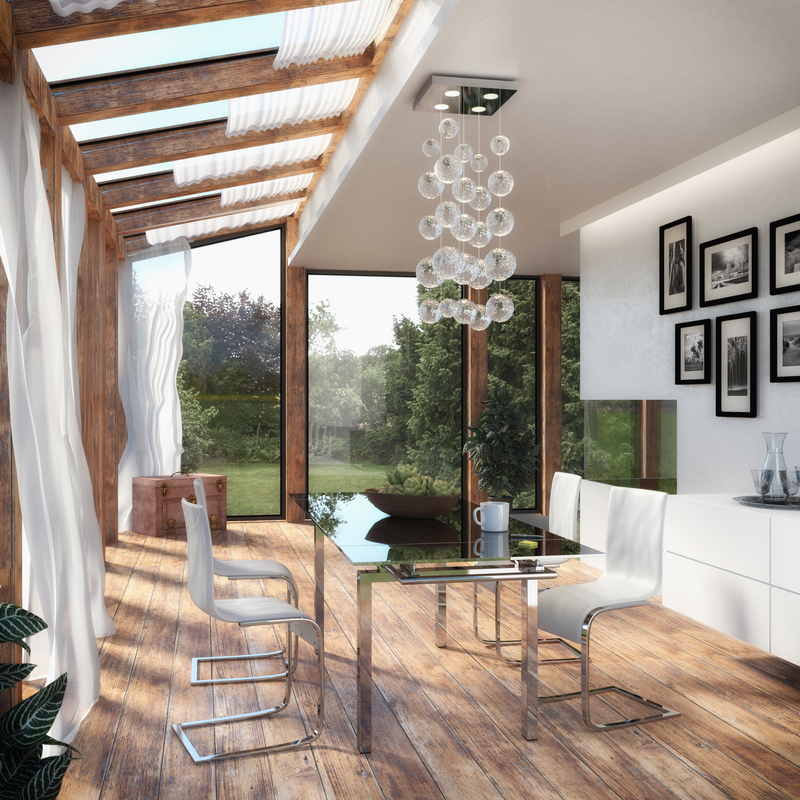 If you would like a consultation on incorporating sunroom design ideas into a poetic and pragmatic mix of inside/outside living, please give the professional team at Viridis Design Studio a call at (303) 489-9958. What Is “Atmosphere,” Anyway? The Impact of Restaurant Interior Design 2017 Interior Design Trends – What’s In, What’s Out.